Students hitting the college bookstore this fall will get a stark lesson in economics before they've cracked open their first chapter. 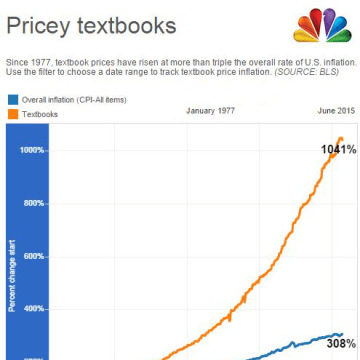 Textbook prices are soaring. Some experts say it's because they're sold like drugs. 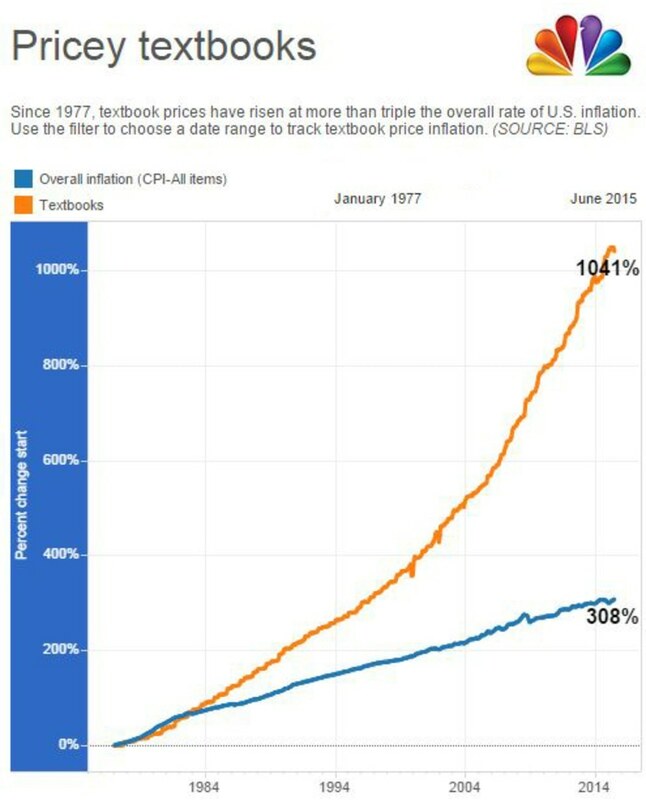 According to NBC's review of Bureau of Labor Statistics (BLS) data, textbook prices have risen over three times the rate of inflation from January 1977 to June 2015, a 1,041 percent increase. "They've been able to keep raising prices because students are 'captive consumers.' They have to buy whatever books they're assigned," said Nicole Allen, a spokeswoman for the Scholarly Publishing and Academic Resources Coalition. In some ways, this is similar to a pharmaceutical sales model where the publishers spend their time wooing the decision makers to adopt their product. In this case, it's professors instead of doctors. "Professors are not price-sensitive and they then assign and students have no say," said Ariel Diaz, CEO of Boundless, a free and low-cost textbook publisher. Unlike drugs, there's no "textbook insurance" to cover the out of pocket costs. Publishers and college bookstores disagree with this diagnosis. 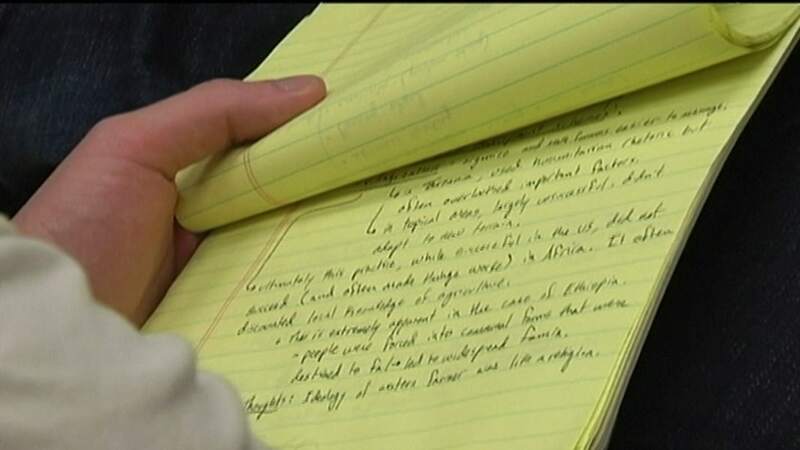 Marisa Bluestone, spokeswoman for the the Association of American Publishers, called the BLS data "misleading" because of the "law of small numbers" where a small item that increases from $100 to $200 will appear as a 100 percent increase whereas if tuition increases from $10,000 to $11,000 it's only a 10 percent increase. Further, the BLS data is "not the reality today" added Laura Massie, spokeswoman for the National Association of College Stores (NACS), as it doesn't count buying used books or renting. But whether individual students are paying a literal 1,041 percent more today than they were in 1977 is not the question, said Mark Perry, a professor of economics at the University of Michigan who has tracked rising textbook prices for years. "College textbook prices are increasing way more than parents' ability to pay for them," he said. 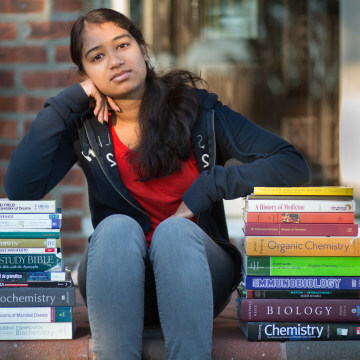 At the extreme end, one specialized chemistry textbook on his campus costs $400 at the campus bookstore. The video above, using BLS data from December 1977 to December 2014, notes a 961 percent increase in textbook prices. Extend the view out to January 1977 and June 2015, the most recently available data, and it rises further to 1041 percent. While not disputing that the sticker price of college course materials has risen, Massie said that, according to a NACS survey, average spending on overall course materials is down. That's because students these days are "savvier shoppers," she said, and taking advantage of other options offered by college stores and other retailers. 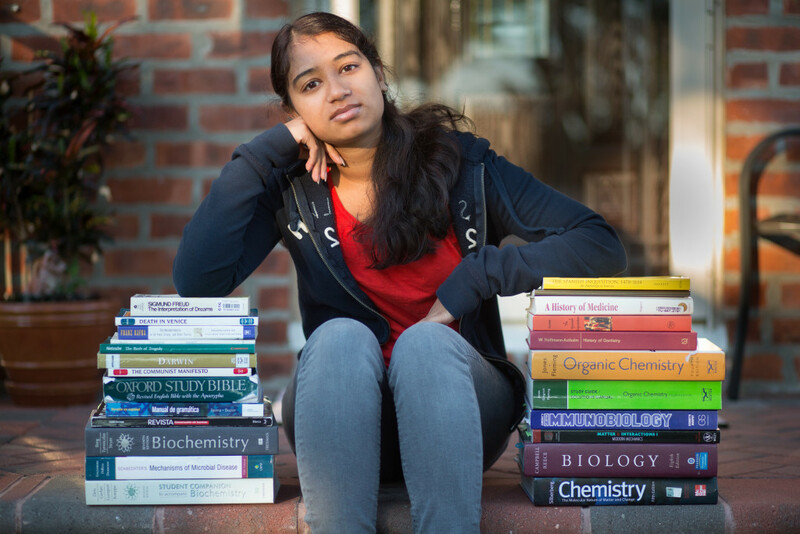 YOUR TAKEAWAY: Indeed, to avoid rocketing prices, students are renting books, sometimes through sites like Chegg or TextbookRush, buying cheaper digital versions instead of hardcovers or paperbacks, and taking advantage of free, "open source" textbooks. More sites and techniques, like how to find the source book for a more expensive "custom" version of a textbook, here. In addition, since 2009 students and parents can also qualify for a $2,500 textbook and course material tax credit by filling out IRS form 8863 and filing it with their taxes. And, of course, there's always selling your textbooks back to a store or other students at a loss at the end of the semester. Alex Bender, an incoming freshman at Northeastern University, has his own ideas for saving. For one, he plans on ignoring the bombardment of marketing encouraging him to "save big" at his college bookstore. 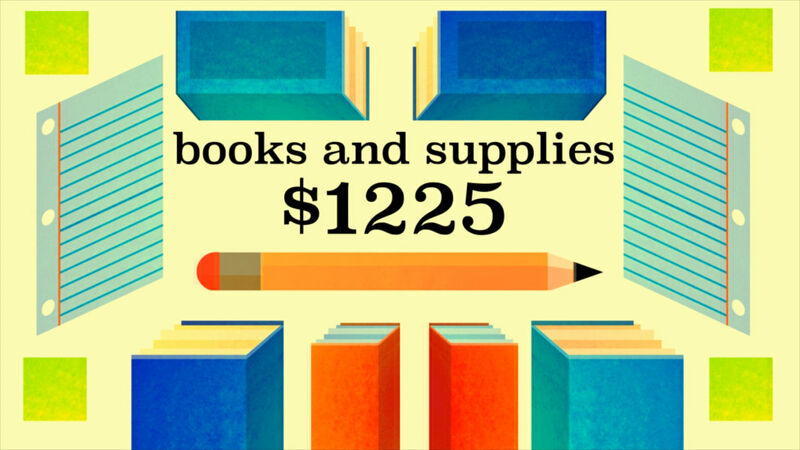 Even though these stores usually sell used books, he plans on getting his textbooks cheaper, either from older students via word of mouth and Facebook, or from online stores like Amazon. That will still mean shelling out hundreds of dollars. "I find the prices of college textbooks in general ridiculous, but you gotta do what you gotta do," he said. Got a consumer news tip? Email nbctips@gmail.com.